There are 12 cards in each pack. 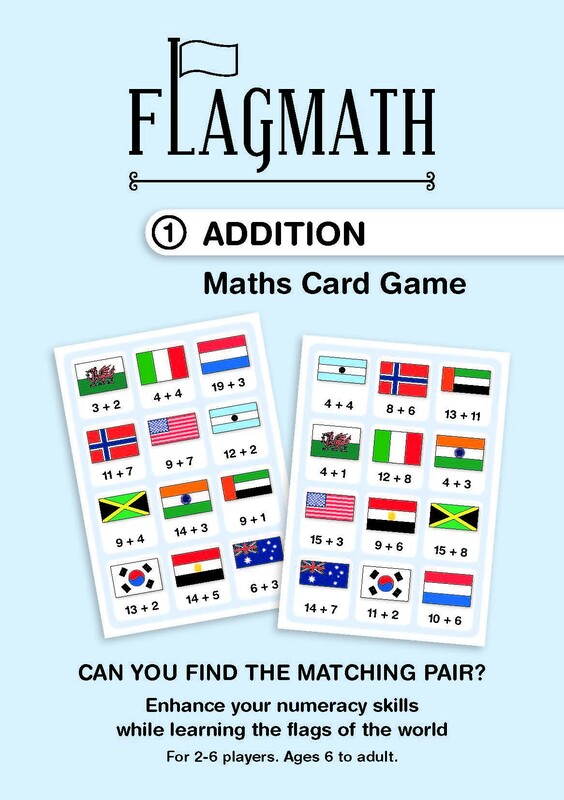 Each card contains the same 12 world flags and each flag is linked to a mathematical calculation/answer. Any two cards placed at the centre of the table will always have one (and only one) combination of flag and numerical answer that is exactly the same. All players play at the same time. Be the first to find this pair and say the answer (either country or number or both). If correct, the player takes one of the cards as a reward. When all the cards have been used up, the player with the most cards is the winner. Can you find the matching pair in this Division set of cards? Remember, the country and mathematical answer must both be the same!